Eligibility :- Freshers Bachelor’s degree required. Experience :- 0 to 3 years relevant work experience. About Company :- EY (formerly Ernst & Young) is a multinational professional services firm headquartered in London, United Kingdom. 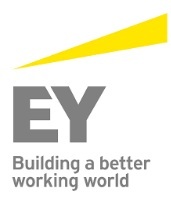 EY is one of the largest professional services firm in the world and is one of the "Big Four" accounting firms. Utilizes technical ability and manages content updates received from a Subject Matter Reviewer or a team lead and, with minimal instruction, makes the necessary, corresponding changes (edits, document additions, document removals) in a complex, Microsoft SharePoint or web-based content management system. Manages the help/feedback mailbox, responding to basic requests and involving other appropriate SMRs where appropriate. Ability to prioritize own work effectively. Ability to manage simple projects and processes. Ability to meet deadlines and work in a fast paced environment.